Steven Arnold Defour is a Belgian professional footballer who was born on April 14, 1988 in Mechelen, Belgium. He plays at the position of midfielder for the English club Burnley. After born in Mechelen, Defour began playing with KV Mechelen till 2004 but due to that club’s financial difficulties, he moved to KR Club Genk. He made his Pro League debut for them during the 2004-05 season at the age of just 17. He became their first choice for the 2005-06 season where he played 26 games scoring one goal to help them finish at fifth position. In May 2006, Defour made his debut for the Belgian senior football team when he was merely 18. He scored his first goal for Belgium on September 6, 2008 in a 3-2 win over Estonia at the ground of Stade Maurice Dufrasne during the 2010 FIFA World Cup qualifiers. Defour joined Standard Ligue on a five year deal in 2006 when he was just 19 years old. He was later made captain of the team and became their integral part replacing Portugal's Sergio Conceicao. He won the ‘Belgian Golden Shoe’ for that season and helped his team to win their first Belgian first division title in 25 years. In August 2014, Steven signed a five year deal with Royal Sporting Club Anderlecht (or Anderlecht) for €6 million. But next year on January 25, in one of the match at Standard Liege, he was sent off for deliberately kicking the ball at home fans who exhibited a banner that had his severed head under the slogan 'Red or Dead’ illustrated on it and this scenario received criticism from both Royal Belgian Football Association and the league. After beginning his youth football career with KV Mechelen and playing with them till 2004, Defour moved to K.R.C. Genk. He was just 17 when he made his Pro League debut for them during 2004-05 season and had a very successful 2005-06 season with them after finishing with 26 games netting the ball once. This helped his team to finish at the fifth position. After Genk failed to qualify for European competition, Defour tried to move to AFC Ajax but due to the failure of not negotiating to the transfer fees, the deal could not take place. So, Defour joined Standard Liege on a five year deal. He was also made their captain and leaf them to their first league title in 25 years after which he also won the 'Belgian Golden Shoe’ for 2007 season. In 2009, Defour again played exceptionally well for Standard Liege after he scored four goals in 31 games to help them regain their domestic supremacy in Belgian football. In 2011, Portuguese club Porto signed a five year contract to buy Defour for €6 million where he finished the season with 37 appearances where he scored two goals and helped his team win the Primeira Liga Championship. 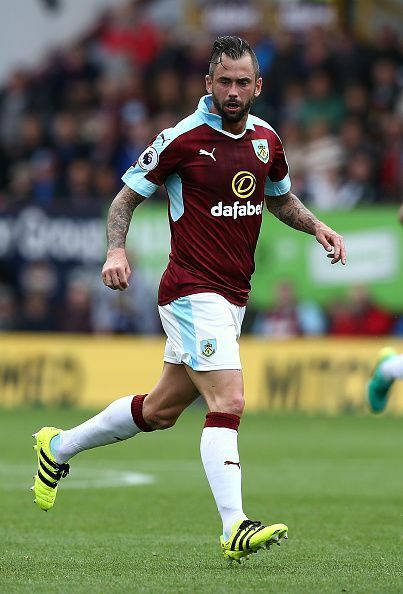 In 2014, Defour moved to Anderlecht and after a controversial season with them, he moved to Premier League club Burnley for a club-record transfer fee of £8 million. He made his debut for them in a 2-0 home win over Liverpool where he assisted a goal to Andre Gray. On September 10, he scored his first goal for Burnley in a 1-1 draw game against Hull City after which his performance was appreciated by their manager Sean Dyche after the match. Defour was part of the Standard Liege squad that won Belgian Pro League in 2007-08 and 2008-09; Belgian Cup in 2010-11 and Belgian Supercup in 2008 and 2009. He was also part of the Porto squad that won Primeira Liga in 2011-12 and 2012-13 and Supertaca Candido de Oliveira in 2012 and 2013. In his individual records, he won the Belgian Golden Shoe in 2007 after a great season with Standard Liege.